Most artists don’t think of their work as temporary. Art is usually created with some degree of permanence, especially when it comes to architecture. 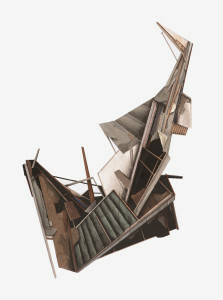 Seth Clark challenges the idea of collapsing architecture through his collage work. 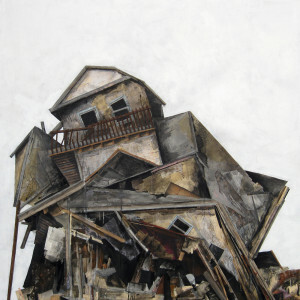 He alternates between drawing, collaging, and using mixed media to compose surreal paintings of deteriorating buildings. Clark’s fascination with rubble actually penetrates into the materials he uses. 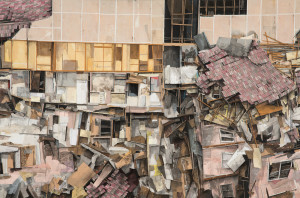 He uses found paper as a foundation for his pieces—a concept that hints at the possibility of reusing decay. 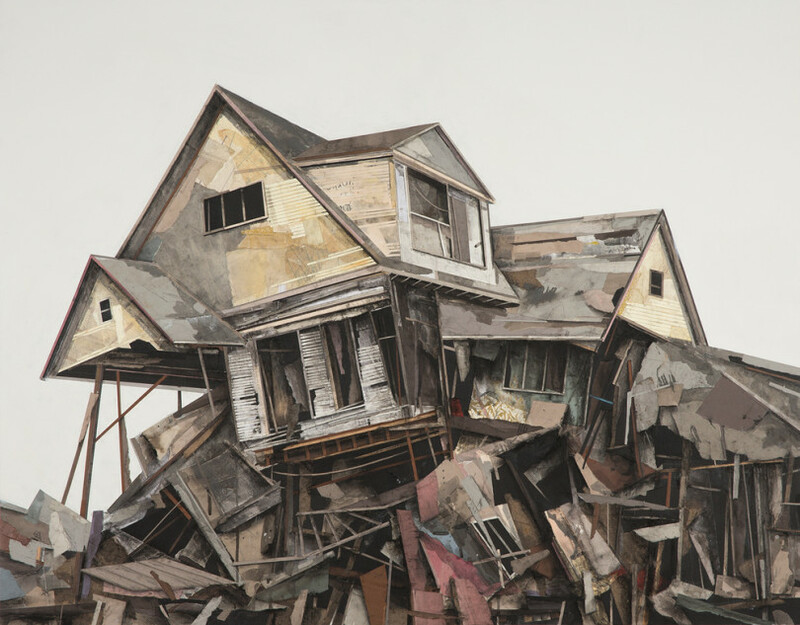 His collages illustrate the circularity of abandonment. A house built with the intent of lasting may collapse but, shown through his use of found art, there is a life in decay itself. Seth Clark is originally from Massachusetts. 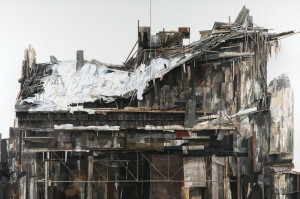 His work has been featured in exhibitions in the Carnegie Museum of Art and the Chautauqua Institution. Recently, he has been awarded Best in Show at the Three River Arts Festival and has been published in New American Paintings. 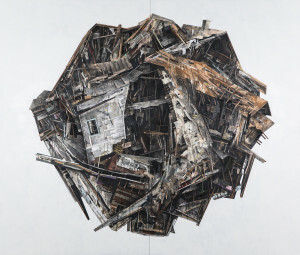 He is a 2012 Flight School Fellow and was named Pittsburgh’s 2015 Emerging Artist of the Year by the Pittsburgh Center for the Arts, as well as being the recipient of three Design Excellence Awards from the American Institute of Graphic Arts.